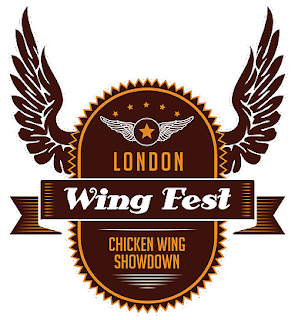 Wing Fest - a celebraton of chicken wings - takes place at Stratford Waterfront in Queen Elizabeth Olympic Park in E20 on Saturday 4th & Sunday 5th August 2018. Coming from small beginnings in Dalston a few years ago, this year there will be 35 traders, all selling wings at £1 each, plus bars, live music and more. Tickets are just £22, including a cap and bottle of sauce, and Saturday is already sold out. Be there! "Wing Fest is a celebration of the mighty chicken wing. This year 35 restaurants, street food traders, bbq teams and pop-ups compete to see who really does do the best wings in the UK. All wings are £1 and will be sold in individual joints (drums or flats) to allow voters to try as many wings as possible from each of the contestants. Ticket holders vote for their favourite wing using the Wing Fest app. Please remember to download the app when it becomes available in July! Dr Sweetsmoke’s deadly Lava Wing Challenge, which causes carnage every year is on the Saturday, and Frank’s RedHot will be hosting their notorious wing eating competition. The charismatic DJ BBQ will be ruling the roost on the Chicken Shed stage in association with Southern Comfort and Buffalo Trace, where you can expect tantalising cooking demonstrations and BBQ tips. There will be live blues music, rock music and street entertainment through out both event days." Tickets - Tickets includes a Wing Fest signature trucker hat, a bottle of Frank's RedHot & access to Wing Fest app.